Obesity is a widespread problem. 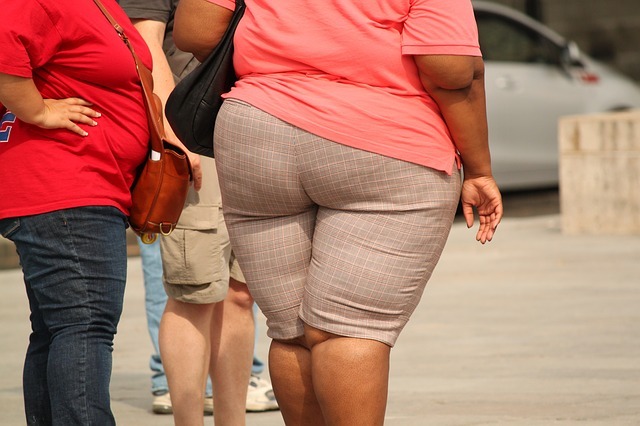 Two thirds of US adults are obese or overweight. An article in American Psychologist estimates that obesity in children will rise to 91% by 2020. The calculus is simple. People gain weight by eating more calories than they burn. The average, active female should intake approximately 2,400 calories a day. Their male counterpart should take in approximately 2,800 calories. Here’s the good news! Just breathing and having your organs keep you alive burns about 1,600 calories a day for women and 1,800 for men. You burn those basic calories by just sitting on the couch and watching TV. The bad news is that women need to burn an additional 800 calories and men 1,000 per day to maintain current weight. The best tool I’ve found is Calorie Burn Calculator. It can be found at www.healthdiscovery.com. You can plan your daily activities to burn those calories. Want to lose weight? One pound of body weight represents about 3500 calories. Make a plan to lose a pound. All you have to do add activities that will burn an additional 120 calories a day to lose a pound a month. The bad news is that you’ll have to get off that couch to do so. It’s that simple. Science is on our side, but it requires a commitment to a long term, life style change. An unrestrained eater’s compulsion may be related to emotional and guilt issues and continues the cycle of the overeating disorder. Psychologists, teamed with licensed dieticians, can help clients with discovering the root cause of this compulsion and form an effective strategy to address it. Realize that there is no fad diet, pill or quick fix that will work for the long term. Realize you are in control of your weight management, as well as your children’s. Start with reducing caloric intake to averages for women and men. Use the Calorie Burn Calculator at www.healthdiscovery.com to plan and manage the excess calories you need to burn to maintain or lose weight. Use the Calorie Burn Calculator at www.healthdiscovery.com to plan and manage the excess calories you need to burn to maintain or lose weight. Get support from your family, friends and partners or spouses in your weight loss efforts. It will increase the chances of success. Monitor your weight every morning. Get a scale and make sure you use it! It will show if your daily activities burn enough calories or not. Adjust your activities or caloric intake accordingly. If you get depressed or can’t stop overeating, talk with a Psychologist who can help you with this eating disorder.